Learn to make your very own beautiful floral arrangements at one of my Flower School classes! Learn floristry in a relaxed, fun and friendly atmosphere. The tricks of the trade, all stock and materials will be provided, as well as some light refreshments. All you need to do is come along and bring your creativity with you! Flower School is perfect for a day out with your mum, getting your friends together to do something different, or if you’d like to learn a new skill or take up a new hobby. Classes are £50 per person and include light refreshments. We also offer flower school bookings for groups of six or more people. These flower parties are perfect for hen parties, baby showers or just a good get-together! 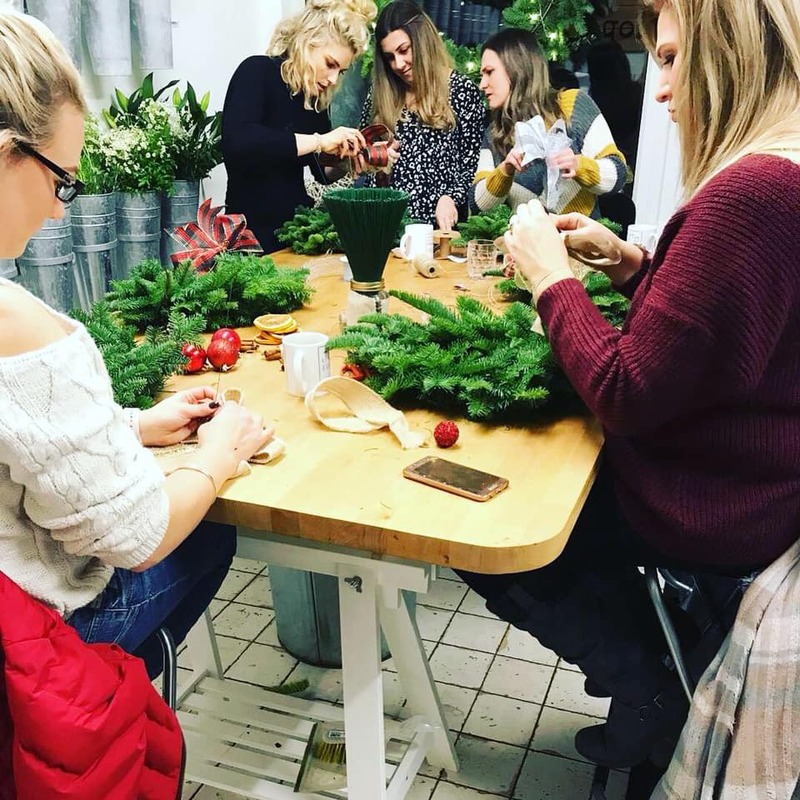 Learn how to make your very own beautiful floral arrangements in a fun and friendly atmosphere, surrounded by your besties. Flower parties include a delicious afternoon tea with prosecco, cupcakes…and of course flowers! You can take home the beautiful arrangements you make. Afternoon tea classes start from £65pp with a glass of fizz, selection of sandwiches, cakes, scones clotted cream and jam. We can make something of your choice or I can arrange this side for you. One adult must be attending per two children. Minimum of 6 children at a class. Prices start from £30 per child. A birthday cake from The Pantry Door is included along with light refreshments. The perfect Mother’s Day gift. Why not book in an afternoon to create a beautiful floral arrangement with your mum with afternoon tea and a glass of fizz? You’ll both get to create something to take home. £65 per person. Mummy & me flower school, suitable for ages 4 and upwards. One arrangement will be made per mum and child and the cost will be £50 for both of you. Mulled wine and mince pies on light refreshments, prosecco included in afternoon tea.